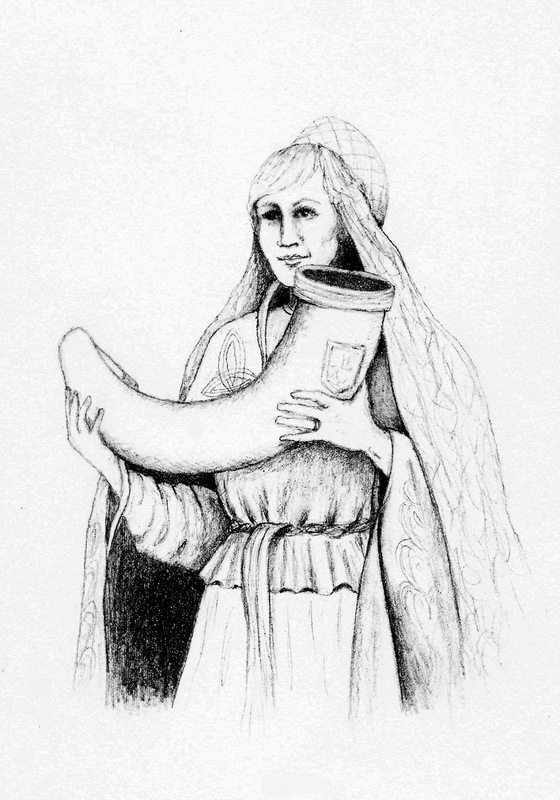 Mankind, and, of course, womankind, has always liked the idea of taking our things with us, and when we invented writing instruments, they became something we wanted to carry about, too. 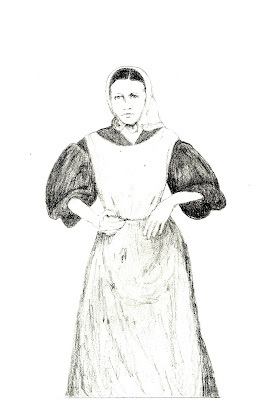 Men have had pockets for centuries now, but women have not always been so blessed by the fashion trends of our time. I'm not going to rant about that, even though it is ridiculous and unfair, because handbags fill the bill pretty nicely and offer a lot of possibility for fashion statements. 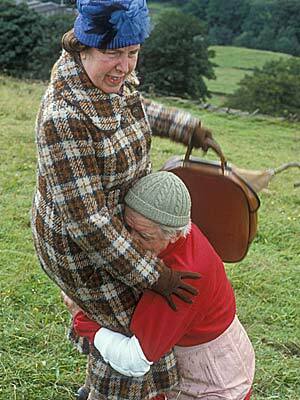 They're practical, and can even be effective weapons, as Nora Batty has shown us. 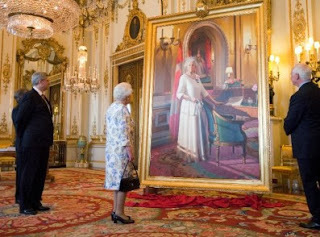 But you don't carry a handbag in the house, unless, possibly, you are Queen Elizabeth, and your house happens to be a palace or castle. 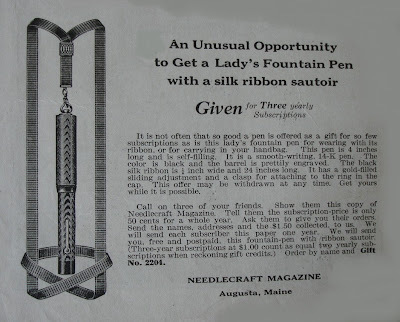 When fashion provided no pockets, women had to carry their pencils and pens some other way. 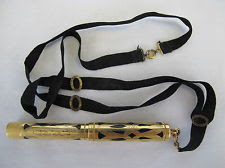 One of these was the sautoir, a French term for a ribbon with a hook or clasp. 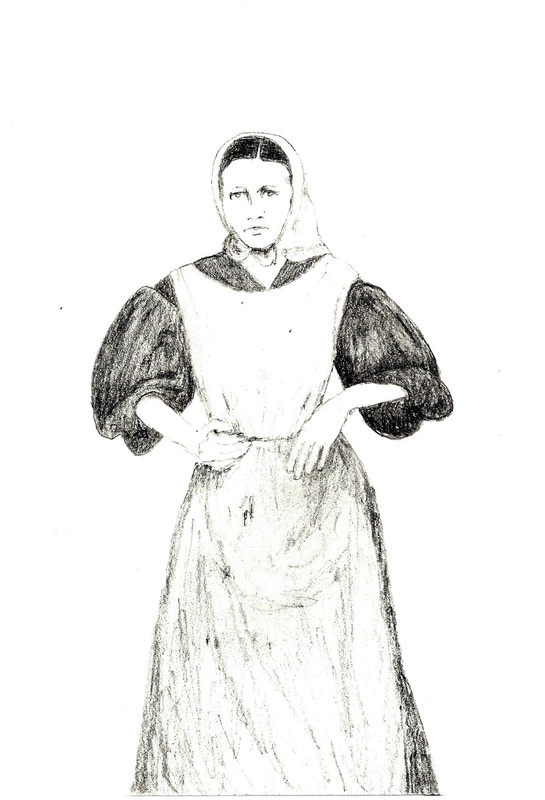 They were improved upon to be adjustable, and to fasten in the back, thus preserving one's hairstyle. 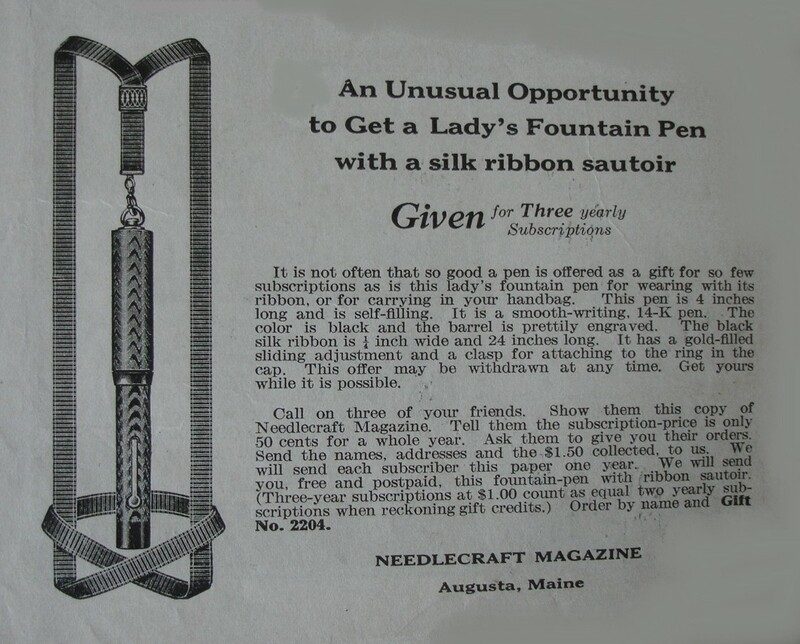 This one was given as a premium by Needlecraft magazine in the 1910s. This is an actual vintage sautoir. 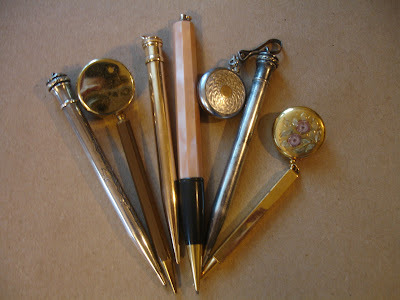 Another idea for carrying pens, pencils, or other indispensable items was the pin-on clasp with retractable chain or cord. The New Jersey company of Ketchem & McDougall manufactured these for many years, with various decorations including engine turning, like this one. Ringtop pens and pencils were made specifically to attach to these sort of ribbons or pins. Portability is still a popular concept, even though the technology of writing has vastly altered. 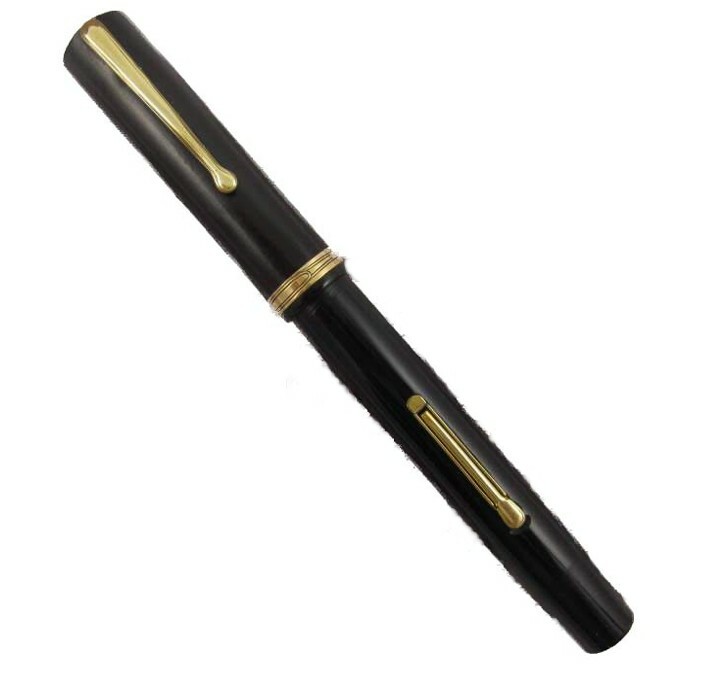 Waterman was my name for a long time, and still is part of my name, so I like to see it imprinted on a pencil---can you blame me? 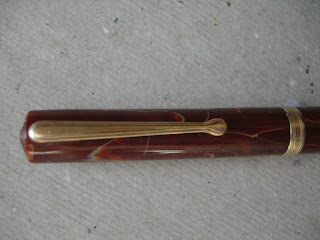 The nice ones don't seem to come along too often, so I was very happy to add a new Waterman to my collection this week. 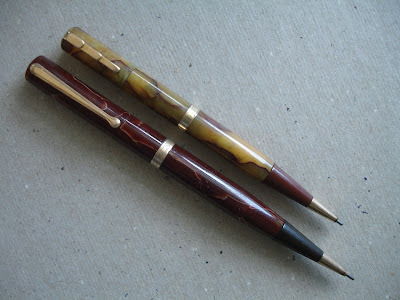 According to Jon Veeley's The Catalogue of American Mechanical Pencils (Where would I be without it? Adding to my collection unintelligently, that's where. 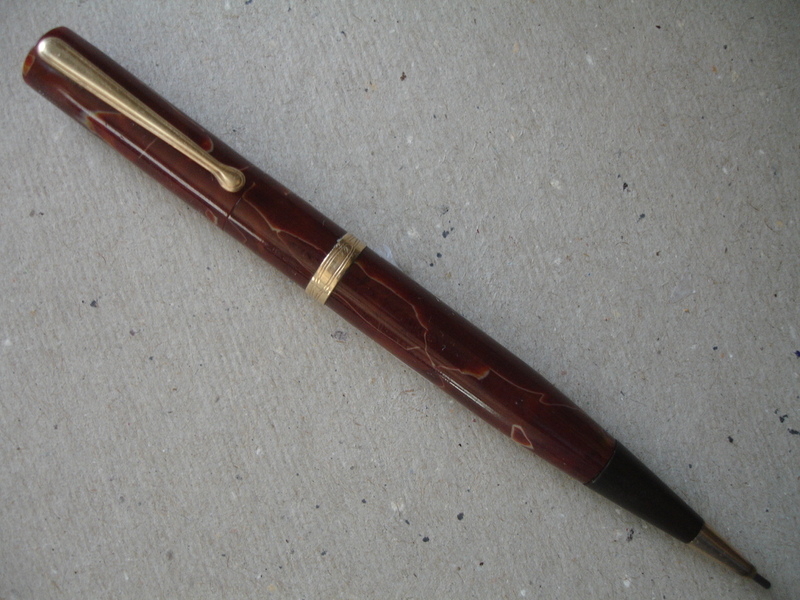 ), my new pencil was made to match the Waterman Number 94 fountain pen, below. 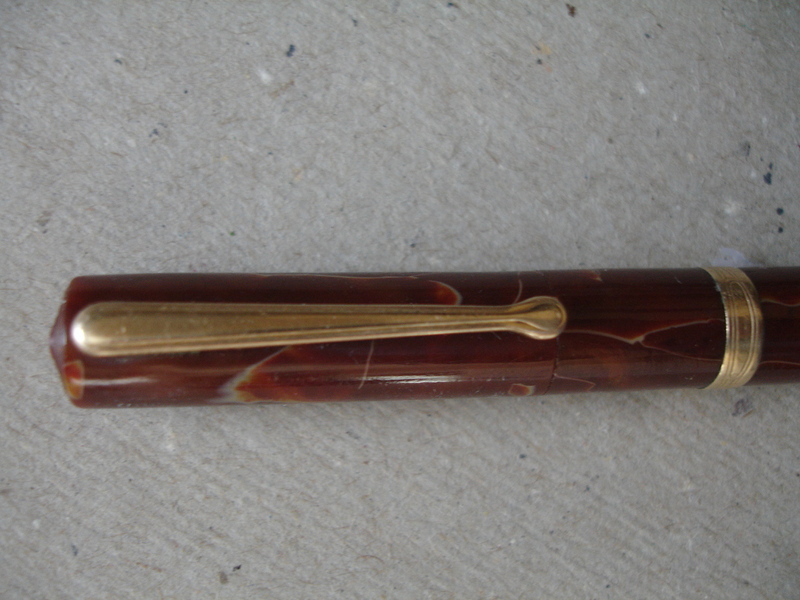 This particular Waterman 95, as it was called, has a deep red-brown agate-like celluloid case with gold-tone tip, center band, and clip. The point is a dark-chocolate brown. 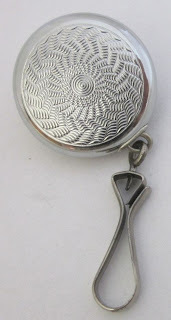 The center band and clip have a simple, decorative design. An eraser is under the cap. The cap has a bullseye carved into the top out of the celluloid itself, and the only imprint is on the back at the top: Waterman's, Reg. US Pat Off, Made in USA. 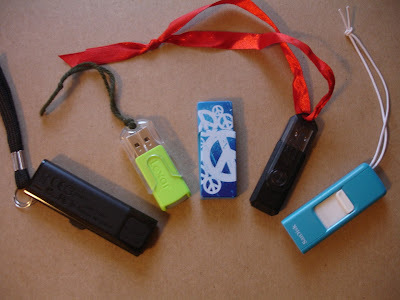 It uses 1.1 mm lead. It's elegantly understated. I have to say I love it. 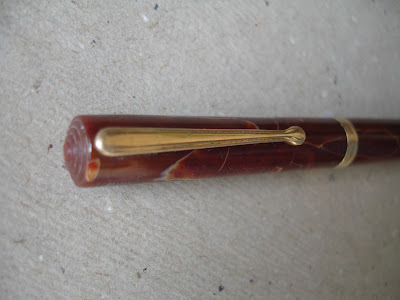 The really great thing is how beautifully it goes with my Waterman's Lady Patricia. The Waterman 95 matches the Lady Patricia more closely than the Patrician does, like they were made for each other.